This The Super Teen Webring site owned by DAVE. This One-Shot site owned by . Want to join the Sidekicks R Us Webring? Want to join the UCW? 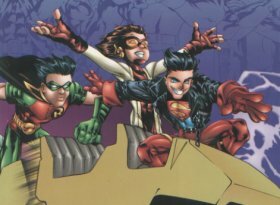 Want to join the The Young Justice Experience? This DC Teens Webring site owned by DAVE. Want to join the Teen Heroes site?